Intel has been making plenty of noise concerning its Medfield mobile processor over the past months, and it continued to talk about its plans during a briefing at Mobile World Congress, however actual hardware using the new chip was in short supply. Lenovo and Motorola have both signed up to produce mobile devices using Intel’s Medfield processor. Lenovo’s K800 Medfield smartphone was on display at CES 2012, and we’ve seen a leaked picture of Motorola’s offering, however it hasn’t made an official appearance at MWC. This lack of hardware hasn’t phased Intel though, and it confirmed details on a further two mobile chip platforms coming in the future. Joining the Medfield Z2460 will be the Z2580, a processor with double the performance and LTE technology, and the Z2000, a basic 1Ghz chip suited to budget handsets. While both these new chips will be made available to manufacturers later this year, any phones using them won’t go on sale until 2013. Lenovo’s K800 hasn’t been given an official release date yet, although a rough mid-year estimate for the Chinese market has been suggested, and with Motorola’s phone a no-show, who will be first to release an Intel phone in North America or Europe. The answer is a little unexpected, as UK carrier Orange has snapped up Intel’s reference design and will release it later in the year. It’s currently codenamed the Orange Santa Clara. When details on Intel’s reference design phone emerged, the company said it would be available as a complete solution to anyone who wanted to license it, making it ideal for networks around the world. 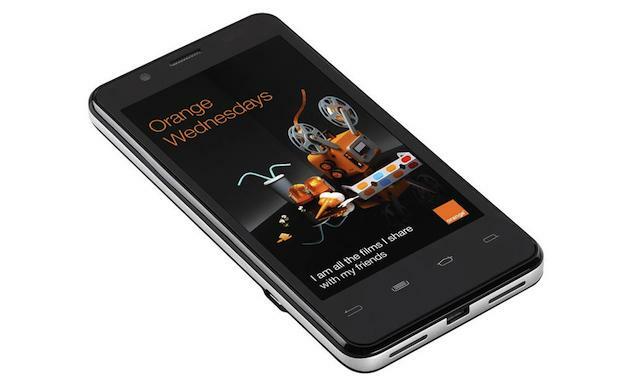 Orange is an old hand at this type of thing, as they have a wide range of own-branded Android devices already, primarily using hardware made by Huawei and ZTE. The Santa Clara has a 4-inch touchscreen with a 1024 x 600 pixel resolution, an 8-megapixel camera with 1080p video recording and Android 2.3 Gingerbread, however an update to Ice Cream Sandwich will be along after the phone has launched. Pricing has yet to be confirmed, but is said to be “affordable,” but it’s not yet confirmed whether Orange will beat Lenovo to become the first to put an Intel-powered phone on sale. Intel has also struck a deal with ZTE, who will produce a smartphone using the Medfield chip for the second half of 2012, plus a tablet too. Given ZTE’s ambitious plans for the coming years, this could be a key partnership for both ZTE and Intel. You can be forgiven for not knowing who Lava is, as unless you live in India or Africa, you won’t have seen them about. However, the company has also commissioned Intel’s reference design and will call it the Xolo, and it’s expected to launch just after the summer. Although these examples show Intel is moving forward, and its new chips prove how committed it is to the mobile space, we can’t help but wonder when a flagship phone will appear. High-end devices aren’t everything, but to pull consumers away from ARM-based devices it’ll take more than a network-branded phone and one only available in India. Are we going to have to wait for the more powerful Z2580 chip, of which Intel say it’s producing new reference design handsets at the moment, or will Motorola save the day with its Intel phone, if and when it appears?